During the last four years, I’ve been quite quiet when it comes to sports, training and performances. I struggled finding a direction and a healthy relation to training after my complete meltdown in 2012. But trying (and winning) some competitions of Ski Alpinism during the winter 2014/15 lit that little spark that had been missing. They started to call me animaluminium (Fast as an animal, light and strong as aluminium) and that’s a huge motivation itself. My shoulder surgery in May (thank you Dr Riand, Clinique de Valère, Sion) and a pretty inactive summer due to recovery (thank you Andrea, Strandhälsan, Falkenberg) made it hard to keep that spark alive. But after a spontaneous start at the first stage of Falktouren and a very unexpected victory at Kullamannen, this little spark slowly started a fire that I didn’t think I’d ever see again. My training was still on the limit to non-existent (3 times per week), but it was REGULAR. Last time that occured was in november 2011… Thank you Johan Jonsson, Falkenberg Allstars! I ended my long stay in Sweden at the podium of Falktouren Stage 4, and headed for my third winter in paradise. Val d’Herens, Valais, Switzerland. I slowly started training and competing between my beautiful work hours at Ecole Suisse de Ski et Snowboard, Thyon 2000. So far, the results and my physical shape stays at 70-80% of last winter (the trend is strongly positive, though). But most important, I found the medicine for my mental health. Whenever I feel down or lost, I simply climb the hill one more time. And whenever I’m happy, I…. Climb that hill! I’ve got myself some goals and guidelines for the winter and even for the next years. And I’ll appreciate all your support while climbing, running, skiing, walking, singing, laughing, crying, sweating that long, lovely, painful, crooked way along those guidelines towards those goals. So stay tuned, I’ll get back to you soon! 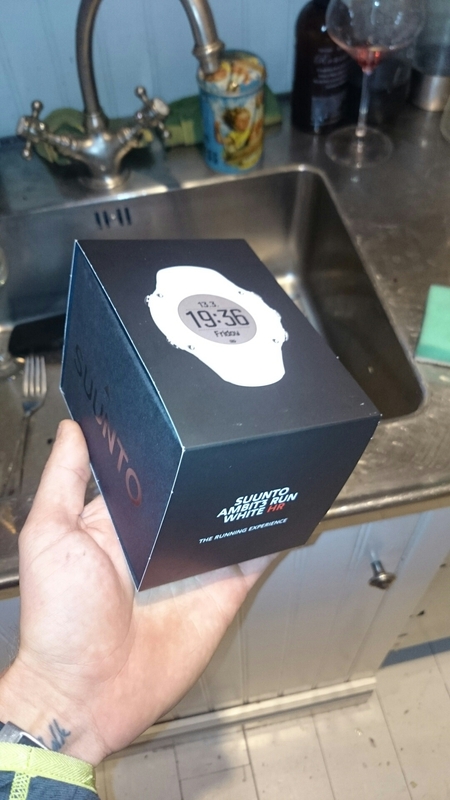 I won a Suunto Ambit3 Run White HR in a race today. Do you want it? It’s yours for 1500 SEK. For many reasons, silence is the perfect title of this post. My ”blog” has been silent for longer than my songwriting. And when it comes to certain strong emotions, my heart has been like a stone since… Very long. It’s also been exactly two years since I played my own not-finished song at my mum’s funeral. A swedish song named ”Tystnaden” (The Silence). Silence can be one of the most beautiful things. But also one of the most heavy and devastating. The silence that haunts me the most right now is the emotional one. The feeling of not being open to love. Or life. After great losses in life, one gets afraid of losing more. I meet wonderful people who opens their hearts to me. I open my eyes and I open my mind. But the heart reminds cold. But that’s not painful to me, except the pain of hurting someone else. The most hurtful are those moments when I meet someone and just can’t stop it (not like I want to stop it, but there are moments when the control is not mine). I said I don’t want to stop it. But I somehow wish I could. Maybe not stop it but at least hold it back and not express it all. Because this storm of emotions and thoughts always looks like desperation when it reaches the receiver. And you all know what occurs when you express too much too early? Yes you do. Silence. Another silence. Much stronger silence. It’s somehow beautiful in a poetical way. But living that silence makes me ask thousands of questions about what’s going on on the other side. I hold it back but I can’t seem to stop myself express some of it. Just a tiny bit of one of the theories. I push away that beautiful person who was the source of the feelings. She slowly disappears into forgetting me as a freak she once met and I slowly disappear into another period of silence. And we’re back at the start of this vicious circle. You’ve been there too, right? And of course she’s right. She’s very right. It’s all about living in the present. But the emotions are also parts of the present. And it takes a long while to let them pass by. Especially if they’re strong. I’ve been struggling for a while, feeling bad because the only, or at least the biggest, thing I really care about in life is to share it with someone. What I want to say is, I didn’t loose myself in her. I WON myself in her. The need and will of sharing my life with someone I love and feel loved by doesn’t make me too dependent. I survive on my own. I stay alive. I do what I need to do. And when I want to do something, I do that. I don’t need to share my life with someone. I am independent. But. When I feel loved by one I love. When I hold someone who wants to hold me. No matter if we’re on different continents, it’s enough to know that it’s true. When I’m in this state, I fly. I’m invincible. Supernaturally strong. And suddenly I know exactly what I want. And when. Where. How. I don’t build my life around her. I build my life around myself. But this construction becomes solid, lasting and true only when there’s real love, shared with HER. So, to all of my friends… Don’t be afraid of losing yourself in someone else. Look forward to WIN yourself with someone else. And don’t feel a shame for feeling like the meaning of life and your biggest wish is to share it with someone who loves you. Because it’s not a crime. It’s natural, it’s our biggest instinct. And it’s the most beautiful thing that can happen. Just make sure it’s mutual…….. I love… I love to love, and I love Love… Yes, I’m in love with Love…. Nedanstående gästinlägg är skrivet på franska och översatt av författaren till engelska. Eftersom författaren är rädd att texten redan tappat lite av sitt språk och sitt budskap bara genom den första översättningen väljer jag att publicera den engelska versionen. Jag vet inte om jag förstår hela budskapet, men jag älskar att dela andra människors bild av delad, ärlig, öppen, tillåten kärlek i väntan på att själv få uppleva den. Det håller liv i min tro på att den faktiskt finns och är fantastisk. I want more, and more….. The story began a long time ago, and the book is far from coming to an end… But here is a chronicle of my conquest of ”love”, love according to my own dictionary… A kind of unreal love, supernatural, incomprehensible and far from being in the ”standards” of today’s society. A love that I will try to understand, explain, and question… The love that pushes me to try to use my head and a pencil to put all this sweet mess on paper. Yes, I’m in love with Love.